The left side of the unit comprises a triangle core oscillator, a VCA, two envelopes, and a waveshaper, and the right side is a noise source, multi-mode resonant filter, VCA, and one envelope. With a logical layout and versatile voice topology, Boomtschak is capable of face-melting kick drums and snares, and more strange percussion and sound FX than you can shake a (drum) stick at. 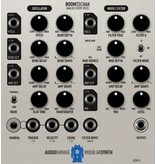 The oscillator bottoms out at 5 Hz (!!! 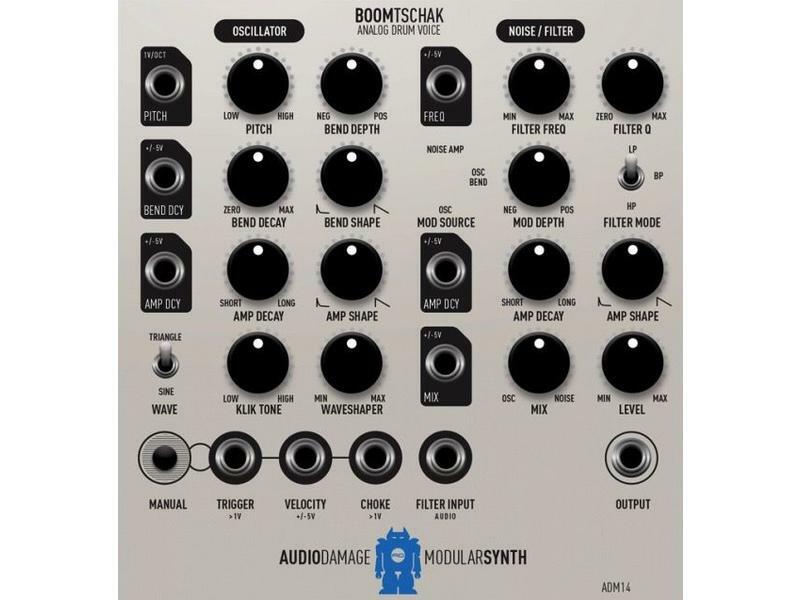 ), and can track 1V/Oct over nearly seven octaves, so you can also use Boomtschak as a synth voice, for paint-peeling sub bass or a mallet-style melodic source higher up. The trigger and choke allow full control over the enveloping, while a velocity CV input allows dynamic control. These, plus control voltage inputs over pertinent values make Boomtschak incredibly expressive. 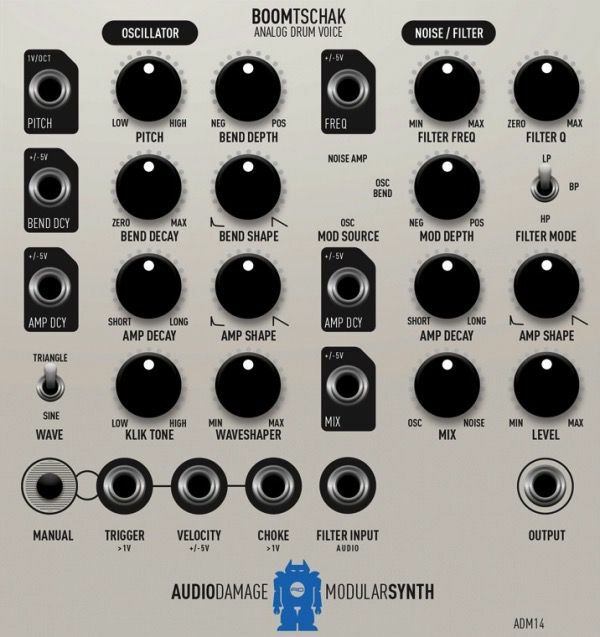 All in all, it is one of the most versatile and potent drum voices available for the Eurorack platform.